The positions attributed to BYU professor Randy Bott in a recent Washington Post article absolutely do not represent the teachings and doctrines of The Church of Jesus Christ of Latter-day Saints….The Church’s position is clear—we believe all people are God’s children and are equal in His eyes and in the Church. We do not tolerate racism in any form…We condemn racism, including any and all past racism by individuals both inside and outside the Church. For many Mormons, reading Bott’s words was like unearthing a theological dinosaur long thought extinct but suddenly rediscovered in the corner of an obscure BYU office. His positions seem radically out of place in a modern church with an international membership that includes probably some 500,000 Mormons of African descent. The church’s expensive and ubiquitous “I’m a Mormon” public relations campaign has been carefully and deliberately multiethnic; Mormon leaders want the world to view the religion as the diverse global community it has become. Unfortunately, Bott’s beliefs, though arcane, represent a strain of Mormonism that has persisted well past the 1978 revelation. Mueller, also the associate editor of a forthcoming online journal called “Religion & Politics,” joins host Blair Hodges for the latest episode of FAIR Conversations. The views expressed by Mr. Mueller here or elsewhere do not necessarily represent the views of FAIR or of The Church of Jesus Christ of Latter-day Saints. Questions or comments about this episode can be sent to [email protected]. Or, join the conversation in the comments here. You can also download the episode or subscribe to all episodes of the Mormon FAIR-Cast in iTunes here. Apologies for the occasional sound pops in this episode, production was a bit rushed. See also the FAIR Blog posts by Mike Parker and Scott Gordon which also include links to other discussions on this subject. The latest, greatest one-volume history of the Church of Jesus Christ of Latter-day Saints was published just in time for Mitt Romney’s 2012 presidential bid. It’s Matthew Bowman’s The Mormon People: The Making of an American Faith. He’s been all over the place since the book came out, including appearances in Slate, the Huffington Post, the Christian Science Monitor, and on MSNBC’s Morning Joe. In this episode, Bowman talks about the genesis and production of his new book. Find out why he describes Bruce R. McConkie as a “Progressive-minded” leader, and why he sees the LDS Correlation department as being a sort of “catechism” constructor. We also discuss Bowman’s view of how the media has treated Mormonism during this, the latest of many Mormon moments. Bowman earned his Ph.D. in American religious history at Georgetown University. He currently teaches that exact subject at Hampden-Sydney College in Virginia. He’s also the associate editor of Dialogue: A Journal of Mormon Thought and the author of a variety of award-winning articles on Mormonism. Questions or comments about this episode can be sent to [email protected]. Or, join the conversation in the comments here. Perhaps the most underrated Mormon-themed book of 2011 was Tom Mould’s Still, the Small Voice: Narrative, Personal Revelation, and the Mormon Folk Tradition. As the title suggests, Mould explores how the Spirit’s “small voice” is still an important part of religious life for Latter-day Saints. The book is a folklorist’s examination of the stories Mormons share about personal revelation. In this episode of FAIR Conversations, Mould describes some ways revelatory narratives highlight distinctive Mormon beliefs such as stewardship and agency. He highlights the role revelation plays in Mormon decision making, in relieving anxiety, and in dealing with the ambiguities of everyday life. The stories Mormons tell about the revelation we seek and receive suggest important clues about our values. Mould’s work is thought-provoking, challenging, and inspiring, religiously and academically. He brings the perspective of a thoughtful outsider but speaks with an insider’s knowledge. Mould is associate professor of anthropology and folklore at Elon University in North Carolina. Check out the author bio on Utah State University Press’s website here, and my full review of Still, the Small Voice here. If Jesus Christ is “the way, the truth, and the life,” and no one can receive salvation except through Him, what happens to those who die without having heard of Him? What is the destiny of the “unevangelized”? The revelations of Joseph Smith articulate an impressive response to this question, a question which has confronted Christian thinkers for centuries. In this episode of FAIR Conversations, Professor John E. Sanders joins host Blair Hodges to discuss how various Christians have sought to resolve this problem over time. Sanders is an American Christian theologian with an Evangelical background. He currently serves as chair of religious studies at Hendrix College in Arkansas. 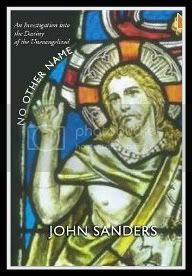 He is the author of No Other Name: The Destiny of the Unevangelized. Sanders has provided a useful chart outlining the individuals and positions discussed in this podcast here. Blair Hodges will continue hosting lengthier interviews on religious issues with a variety of scholars. His episodes will now be called “FAIR Conversations.” All of these categories will fall under the new umbrella name for the FAIR Podcast: “The FAIR-Cast.” The details are subject to change, but this is the overall gist of the direction we’re headed to provide a more frequent and diverse offering of podcast episodes. This episode of FAIR Conversations features Kevin Christensen. 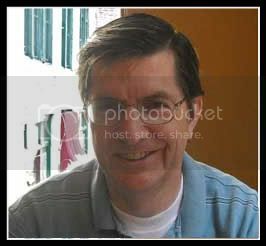 Kevin, a technical writer in Pensylvania, is a good representative of what Hugh Nibley acclaimed as “the day of the amateur.” Kevin has published over twenty articles in the FARMS Review and other journals from the Neal A. Maxwell Institute for Religious Scholarship. 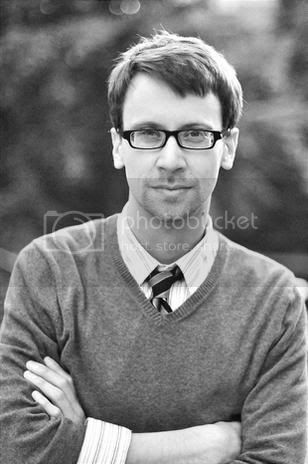 He’s also presented at numerous Sunstone conferences and published works in Dialogue: A Journal of Mormon Thought. Recently he co-authored a piece on the Book of Mormon in Oxford University Press’s book, Joseph Smith, Jr: Reappraisals After Two Centuries, edited by Reid L. Neilson and Terryl L. Givens. Kevin joined host Blair Hodges via Skype to talk about his experiences with LDS apologetics. Hugh W. Nibley, “Old World Ritual in the New World,” An Approach to the Book of Mormon. Stephen D. Ricks, and John W. Welch, eds., King Benjamin’s Speech: “That Ye May Learn Wisdom”. Kevin Christensen, “Biblical Keys for Discerning True and False Prophets,” fairlds.org. Thomas Kuhn, The Structure of Scientific Revolutions. Anthony A. Hutchinson, “A Mormon Midrash? LDS Creation Narratives Reconsidered,” Dialogue: A Journal of Mormon Thought 21 (Winter 1988): 11-74. Kevin Christensen, “New Wine and New Bottles: Scriptural Scholarship as Sacrament,” Dialogue: A Journal of Mormon Thought 24/3 (Fall 1991): 121-29. Kevin Christensen, “Indian Origins and the Book of Mormon, A review of ‘Indian Origins and the Book of Mormon’ by Dan Vogel,” FARMS Review 2/1, pp. 214-57. Kevin Christensen, “Paradigms Crossed, A review of ‘New Approaches to the Book of Mormon: Explorations in Critical Methodology’ by Brent Lee Metcalfe,” FARMS Review, 7/2, pp. 144-218. Kevin Christensen, “Truth and Method: Reflections on Dan Vogel’s Approach to the Book of Mormon,” FARMS Review 16/1, pp. 287-354. 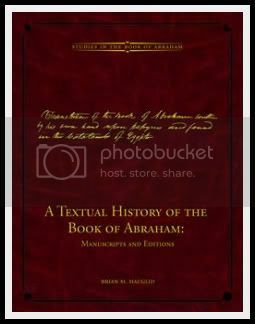 Brian M. Hauglid discusses more about his brand new book, A Textual History of the Book of Abraham in part two. The papyri Joseph Smith used when he translated the BoA went missing for decades, but were reacquired by the LDS Church in 1967. The papyri were quickly swept up in a tornado of research. In this episode Professor Hauglid talks about criticisms and controversies surrounding the Book of Abraham. Hauglid also describes how the BoA became part of the LDS canon. In addition to some of Hauglid’s favorite devotional bits of the text, he discusses a few interesting ancient parallels. Cosmology, astronomy, ancient parallels, parallelomania, and Doritos. All these things and more in this episode of the FAIR Podcast. Incidentally, the Neal A. Maxwell Institute for Religious Scholarship currently provides the chapters from Hauglid’s Astronomy, Papyrus, and Covenant online for free. Check them out here. Folks interested in learning more about the Book of Abraham might be interested to start there. A review of Hauglid’s new book is available here. 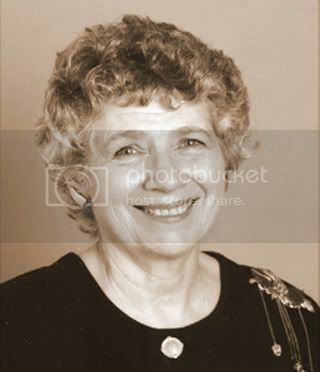 Hauglid received a BA in Near Eastern Studies from Brigham Young University and an MA and PhD from the University of Utah in Arabic and Islamic Studies. He is currently an associate professor of Ancient Scripture at BYU. Along with John Gee, Hauglid is both principal investigator and general editor of the Studies in the Book of Abraham Series.